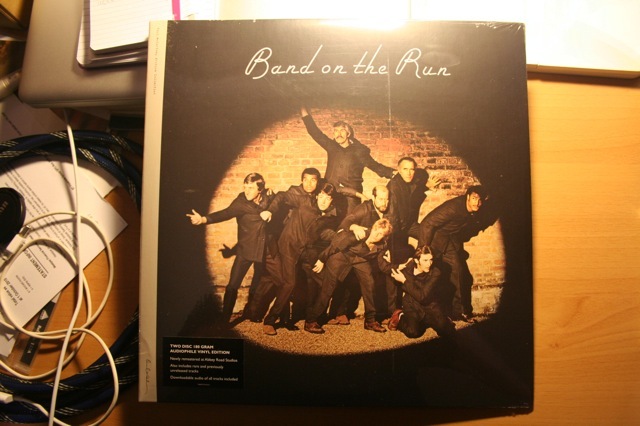 Finally, my copies of “Band On The Run” – in both the 2 disc vinyl edition and the deluxe 4 CD bound-book special edition – have arrived from the United States. They both came together, packaged in the same big cardboard box – and I have to say it was pretty beaten up by the time it got here to Australia. As I opened it up I was really worried about what I might find inside. It’s not the first time I’ve had vinyl records in particular arrive in a less than optimum state. For example, when I ordered The Fireman “Electronic Arguments” LP (direct from the official McCartney website back in 2008). It was, to put it mildly, pathetically packaged up for such a long journey in the post. It’s a fragile vinyl double record that needed to travel from the United Kingdom half-way ’round the world to Australia. And how had they prepared it for such an epic journey? Simply plonked it in a loose-fitting cardboard box and put two of those large bubble “fillers” inside tho make up the volume. These didn’t stop the record moving around, being tossed from side to side when being dropped and bounced and placed at the bottom of piles of other packages along the way. 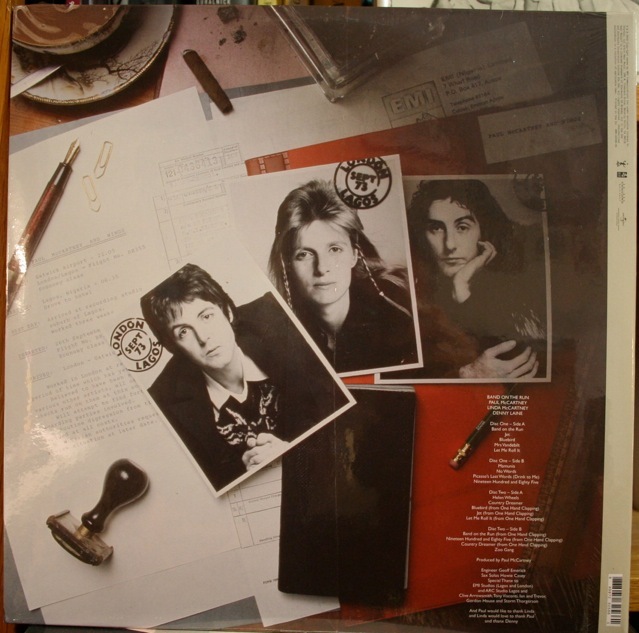 Consequently the cover was bent and torn in places by the time it got here….I’d have expected more from the company charged with dispatching orders to collectors direct from the McCartney site…. Anyway, the box of “Band On The Run” goodies which arrived this week from Amazon was, I have to say, similarly packaged – only this time for some reason both the LP and the CD set had survived unscathed! They were both enveloped in a tight shrink-wrap that really helped keep everything together. I’m very pleased with the results actually, though it could have been an entirely different story as again, the box they came in was bashed around considerably. 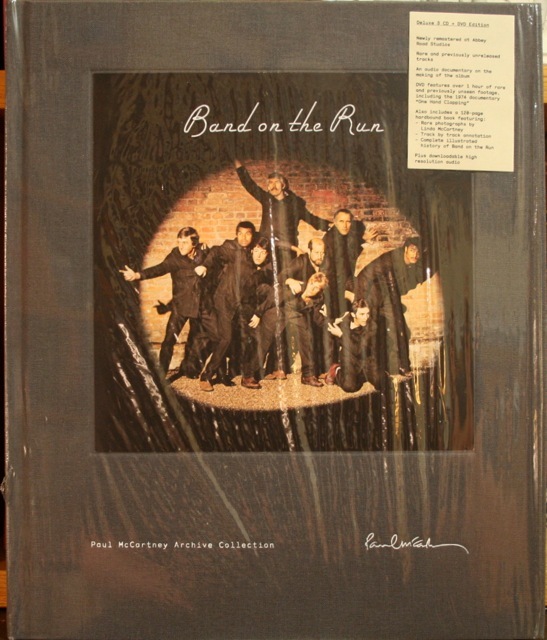 Front cover "Band on the Run" 2010 vinyl LP - still sealed! 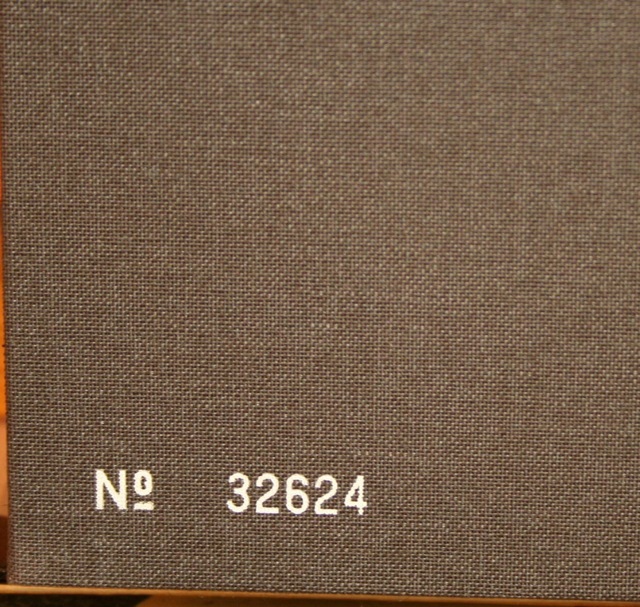 Rear when sealed. This is a card that can be removed when the plastic comes off. 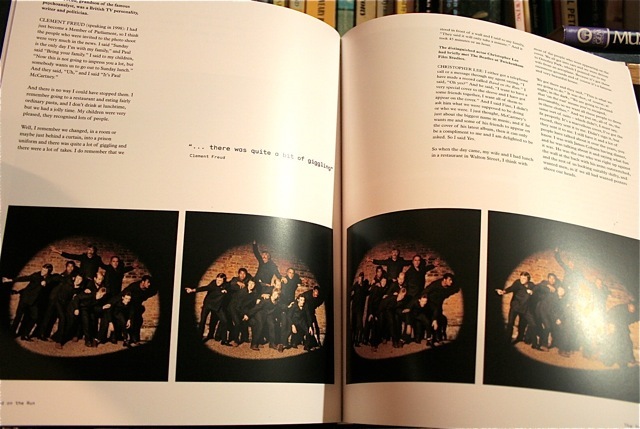 Inside, the 121 page book is richly illustrated with photographs and text. The chapter headings are: Introduction; The Songs; A Trip to Lagos; Return to London; The Photo-shoot; Release; Press; Film and Video; and Lyrics. 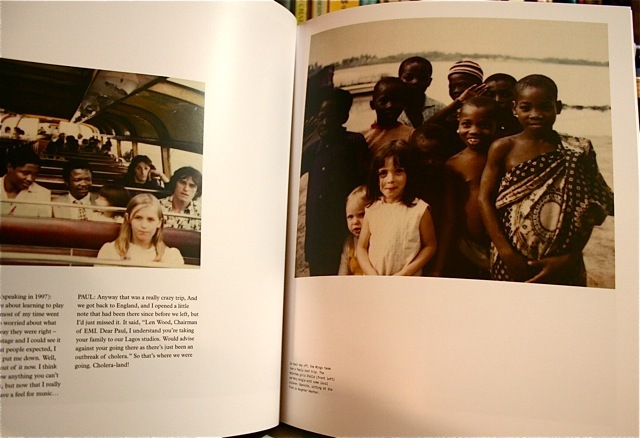 A page from the chapter "A Trip to Lagos"
A page from the chapter "Release"
As you can see, each of these discs has individual artwork to differentiate between them. All-in-all its a very nicely put together item. It’s not cheap – but you can see the work that has gone into it and it will probably become a very collectable item in my view. To close then, that rear, removable card says: “Look for future re-issues in the Paul McCartney Archive Collection, including “McCartney”, “McCartney II”, “Ram” and more, coming soon”. 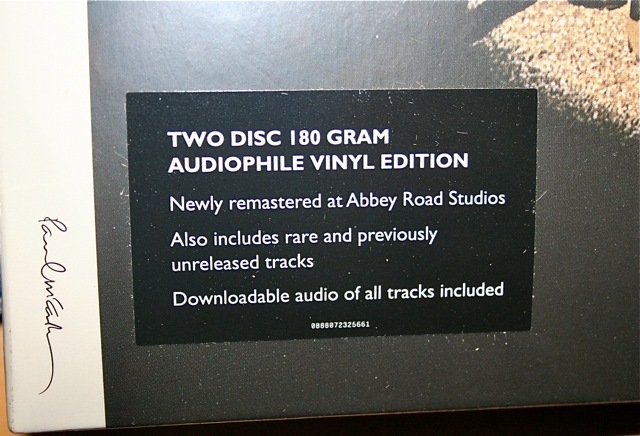 It makes you wonder if that’s the planned release order by Paul McCartney and Concorde Records, and if so just how soon the “McCartney” re-issue will be available. How long will it be between this one and the next? You can imagine your bookshelf beginning to fill up with a line of these beautifully finished books….if you can afford them that is. 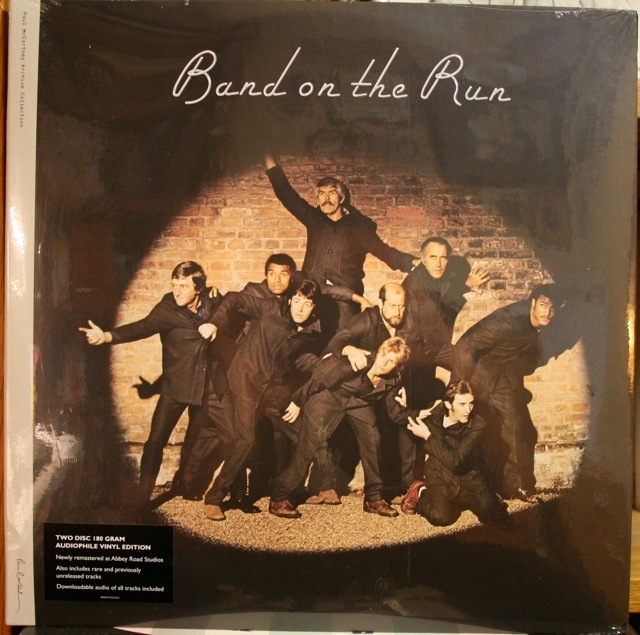 See also the very limited edition vinyl 45 released as part of the promotion for “Band on the Run” 2010. 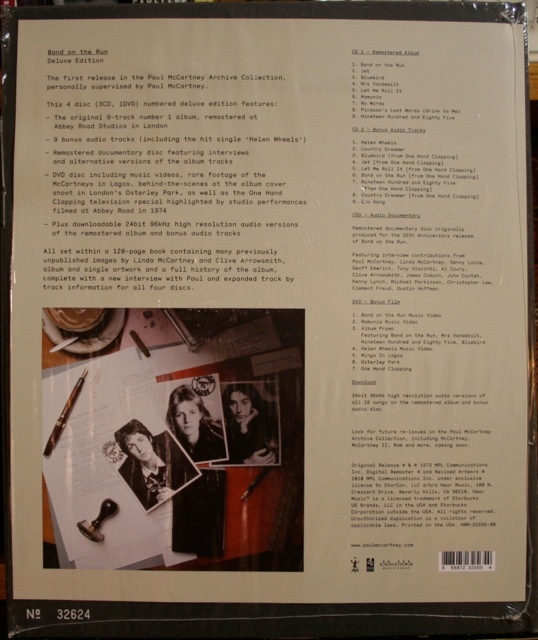 If you like John Lennon see the “Signature Box” and the “Gimme Some Truth” collections. 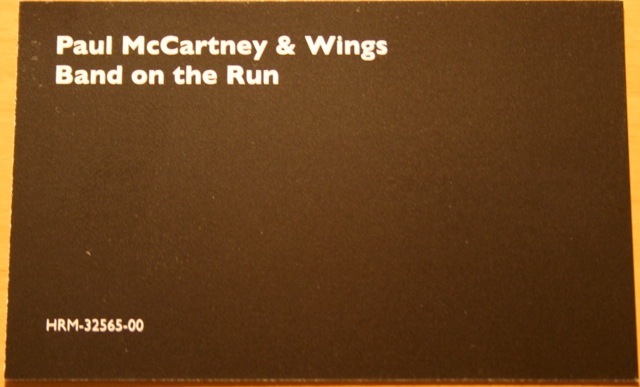 This entry was posted in Band on the Run, Beatles Collecting, Beatles Related, Paul McCartney, Uncategorized, Wings and tagged Band on the Run, Band on the Run Reissue, Beatles Collecting, Beatles Related, Paul McCartney by beatlesblogger. Bookmark the permalink. 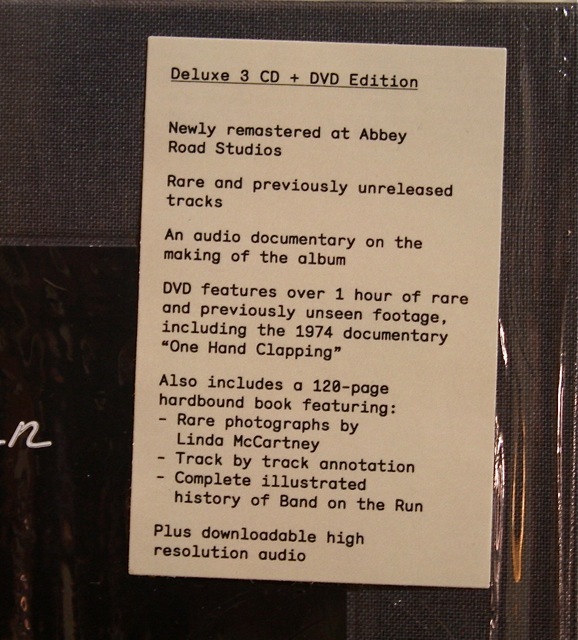 How did you remove the card that is glued to the rear of the Band on the Run Deluxe Edition, without damaging the card or the book’s cover? Hi David. Good question, and a reminder to all who have not taken off this card stuck to the rear of their Deluxe Editions to do so – and soon. Mine was stuck on with a single strip of that tacky, “removable” glue that is commonly used to stick CDs to the front of music magazines, etc. It is rubbery and can be removed – kind of like the glue used on post-it notes in that it is intended to easily peel off. 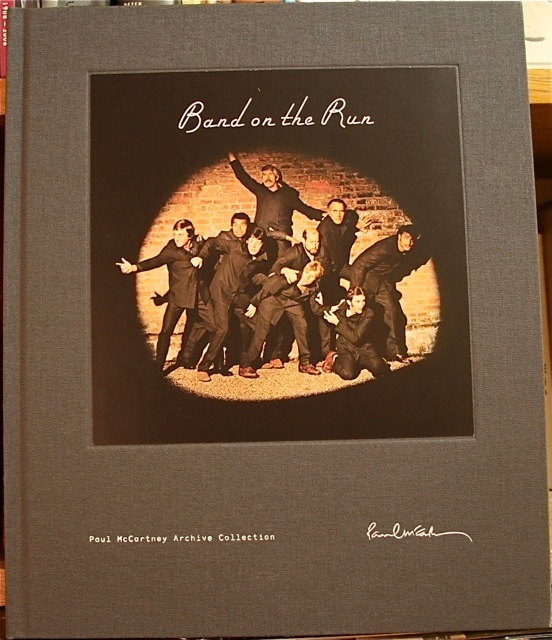 When your message came through I actually got my copy of the Deluxe “Band on the Run” off the shelf to have another look at it – and I noticed that this glue has started to leave a greasy stain not only on the card, but also on the material cover of the book itself. Not good! So, I’d be recommending that if you also have a copy and you have left this card stuck in place – that you remove the glue altogether (and soon) before it stains your book forever. I’ve been avoiding to remove the card, but I’ll have to sooner or later. And now you tell me there is the risk of forming a stain. I have tryed to gently pull the card but it didn’t came off, and I am afraid to tear it. I’ll have to do it some other way. Hope that on the following reeditions of Mac’s Deluxe Editions, Hear Music do not glue the insert card. They don’t need to, they jurt have to place it under the plastic wrap. You’re right, McCartney I, McCartney II, Band on the Run and Ram Deluxe Editions are well done. 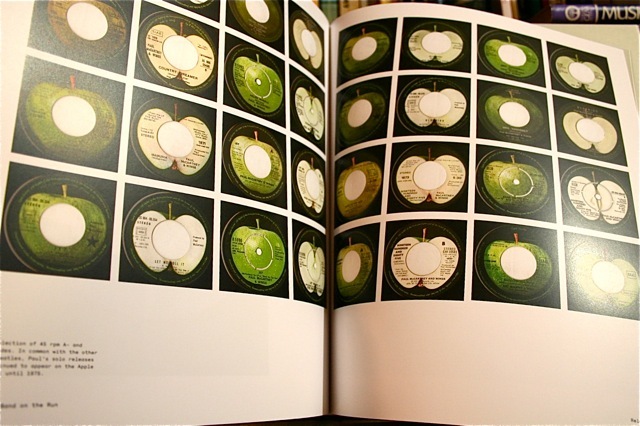 I only would like that the back cover artwork of the albuns also appeared on the book’s back cover. If you’ll find an easy and safe way to remove the card, let me know. I’m thinking of getting this one still but I’m wondering if the download code for the hq audio isn’t expired yet? Does it say anything on the card? Thanks in advance.